Office Equipment sould assist in day to day tasks making them easier and faster, ultimately overall quality and productivity should increase. For this reason we sell products from the world's renowned and most innovative manufacturers like - GBC, Fellowes and Martin Yale. 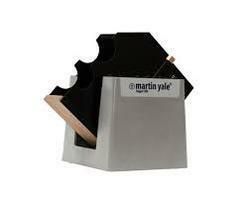 We deliver quality Office Shredder at very reasonable price. These are manufactured from quality material. These office shredders are come with efficient optically illuminated indicator for power saving stand-by mode and environmental protection. Our office shredder are known for their best quality in market. Office Equipment is essencial for smooth functioning of day to day office tasks, they also help present a neat picture and image of the company because of clean presentation in meetings with clients. 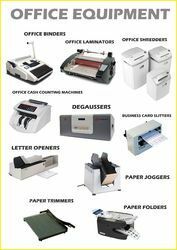 For this laminators and binders are required. 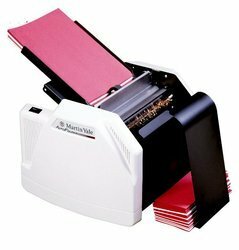 We sell GBC and Fellowes machines for Binding and laminating, other not so common but very useful products come from MARTIN YALE - paper joggers, paper trimmers, paper folding machines, envelope openers, Paper Shredder Etc. Do contact us to know how these machines can be useful to you, we shall be glad to present our complete range for your consideration, We are sure that several or atleast one will help you be more productive and for professional presentations. Our Office Waste Shredder are manufactured from high grade quality material and are easily available at reasonable price. These are come with automatic stop with LED when the waste container is full or has been removed. Convenient automatic reverse in the event of paper jam. 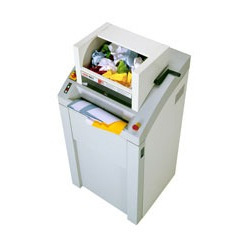 Our office waste shredder are known for their best quality in market. 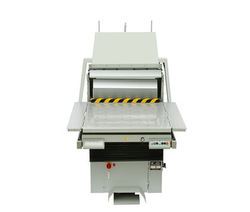 Paper Joggers help eliminate static electricity and paper sticking for easier print finishing processing. 21.25" x 17" x 13"
Banking on our enriched industry experience, we are able to supply Automatic Paper Jogger Machine.